I’m almost through posting all of the long-lost files that have been recovered and re-uploaded to our Downloads database. 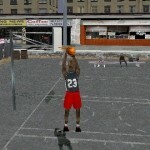 Today’s file is for NBA Live 2001, and is a tool that can be used to edit stadiums. Check it out at the link below! After firmly holding the title of the best NBA game on the market through the 90s, consistently improving from year to year, NBA Live 2001 was one of the first missteps for the NBA Live series. To be clear, I definitely don’t see it as an all-around terrible game, and there are games in the series that are a lot rougher around the edges, but NBA Live 2001 did have some significant problems. Before spending some time with the game in preparation for this retrospective, I would’ve summed it up as “fun, but flawed”. Would I still make that assessment after playing it again? Well, let’s take a look at what’s good, and what’s not so good, in NBA Live 2001. Welcome to Wayback Wednesday, your midweek blast from the past! This is a feature where we dig into the archives, look back at the history of basketball gaming, and indulge in nostalgia. Check in every Wednesday for retrospectives and other features on older versions of NBA Live, NBA 2K, and old school basketball video games in general. You’ll also find old NLSC editorials re-published with added commentary, and other flashback content. While there’s still a long road ahead of the NBA Live series following its reboot with NBA Live 14, it has made some promising steps, and demonstrated some really good concepts. Something that I believe NBA Live 16 actually did a lot better than NBA 2K16 was the manner in which it allowed players to scan their faces into the game. I still haven’t been able to get NBA 2K’s face scan to work properly; conversely, I’ve found the NBA Live companion app much easier to use, and the results were very impressive. 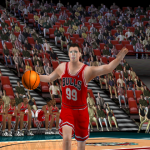 Of course, this isn’t the first time that the NBA Live series has allowed players to put their faces into the game. 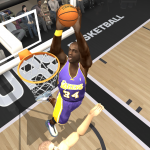 The PC versions of NBA Live have obviously allowed for the creation of custom face textures through patching, but two games in the series – NBA Live 2000 and NBA Live 2001 – have actually facilitated the creation of custom faces in-game. The feature was called Face in the Game, and it actually worked quite well. Beyond bugs and glitches in the programming itself, a common cause of video game crashes is the absence of required files, or the presence of damaged or corrupted ones. Delete a file, or try to modify it in a way that renders it unusable (or unstable), and you’re bound to see a crash. If you’ve ever tried some more advanced modding for NBA Live or NBA 2K, then chances are you’re very familiar with how trial and error, missing a step in the procedure, or simply tinkering with a sensitive game file can swiftly send you back to the desktop. However, not all errors will cause lock-ups and crashes. When certain textures or model files are missing, some games will simply load a placeholder instead. In NBA Live, this has usually taken the form of pink, white, multi-coloured, and even basketball textures being loaded in place of missing faces and shoes, as well as a generic headshape if one can’t be found. In NBA 2K, it’s tended to be a blank, white texture. 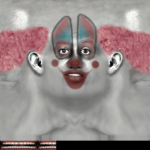 Way back in NBA Live 2001 though, EA Sports had a rather novel take on a stand-in texture: a clown face. While DOSBox is a handy tool for retro PC gamers, resolving compatibility issues with Windows-based releases can be a little tougher. Back in September, Microsoft pushed through an update (KB3086255) which for security reasons, disables the secdrv.sys driver. Unfortunately, the secdrv.sys driver is required for disc-based games that utilise certain types of anti-piracy copy protection, such as SecuRom and SafeDisc. When the driver is disabled, games that utilise those methods of copy protection will fail to start. This means if you’re running Windows 7 or 8.1, and are in the mood to play NBA Live 2000, NBA Live 2001, NBA Live 2003, or NBA Live 2004, you’ll be greeted by a “Please login with administrator privileges and try again” error message. If you do feel like dusting off those games, there are a couple of workarounds: use VMWare to create a virtual machine, which requires an installation disc for an older version of Windows, or (at your own risk) re-enable the secdrv.sys driver. More details can be found here in our Wiki. If that all sounds a bit complicated, I’ve whipped up a couple of batch files that re-enable and disable the secdrv.sys driver automatically; download them here. You’ll find that it’s the quickest method of getting those games back up and running. Once again however, please be advised that Microsoft disabled the secdrv.sys driver due to potential security issues, so use this solution at your own risk. It’s a method that I’m confident in using myself, but having said that, I take no responsibility for any issues that may arise. This fix is also a viable workaround for any other games from that era (late 90s, early 2000s), which fail to start due to the secdrv.sys driver being disabled. So, if you’re looking to play another game on this list, or you’ve stumbled across this post on a basketball video gaming website while Googling the issue, this fix is also for you! With our 20th Anniversary of NBA Live content set to continue, I’ll be posting more guides and tutorials on how to get older games running, so stay tuned. Welcome to this week’s edition of The Friday Five! This is a feature that I post every Friday in which I give my thoughts on a topic that’s related to basketball video games, the real NBA or another area of interest to our community, either as a list of five items or in the form of a Top 5 countdown. It’s been a couple of years since I compiled a list of some of the cool things that we’ve found while playing basketball video games, as well as poking around in their files. Seeing as though Easter is upon us once again, I thought it’d only be appropriate to take a look at five more Easter Eggs that we’ve discovered over the years. Secrets and Easter Eggs definitely add fun to video games, rewarding us for exploring every nook and cranny of the game world, going off the beaten track and trying something outlandish, or on a more meta level, hunting through the game’s data files. Sports games aren’t necessarily jam packed with them – or at least, their Easter Eggs aren’t usually as wild, wacky, or creative as other game genres – but there’s usually something interesting to find, be it dummied out content, leftover files, or something completely unexpected. Let’s take a look at another five basketball video game Easter Eggs that you may or may not be aware of. It’s about time that I did another Top 5 countdown in The Friday Five, and I believe that I have an interesting topic for the occasion, one that I’ve somehow overlooked covering so far: controversies in basketball gaming. As video games have transitioned from a novelty into a thriving industry and popular pastime, gamers have become savvier consumers who are not afraid to speak their minds when the product doesn’t meet their expectations, or a developer does something that they don’t like. Basketball video games are no exception, and the basketball gaming community certainly has no qualms about speaking out when it’s unhappy. There have been a number of issues that have had us riled up over the years, so for this week’s Friday Five, I’m reflecting upon, ranking, and counting down what I’m offering up as the Top 5 Controversies in Basketball Gaming. Let’s begin. 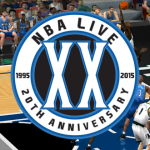 Following on from yesterday’s file additions, we’ve also been able to recover some long lost files for NBA Live 2001. Once again, I’ve packaged them up into one download and added the pack to our Downloads section; check it out at the link below! For anyone interested in taking a trip down memory lane and playing some of the older NBA Live titles on new PCs, benji has been exploring ways of getting them to run using VMWare and DOSBox. 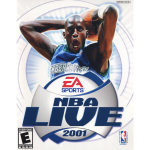 It seems most people are still able to run NBA Live 2003 PC onwards but if you’re looking to fish out your copy of NBA Live 2001 or earlier and give it a look for old time’s sake, be sure to check out this thread for more information. 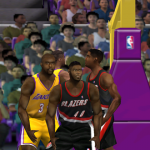 Speaking of the older NBA Live titles, while there aren’t too many people releasing updates for them these days, uploads are still welcome and we still main a collection of patches and utilities for them in our Downloads section, along with resources in our Wiki.